cubajardinesdelrey.com | Want to know before you go? Official Cuba Jardines del Rey information and guide, get facts and latest news. The Jardines del Rey dream began on the 26 of July 1980 when the then president of Cuba, Fidel Castro, addressed the city of Ciego de Avila during the commemorations on this national holiday in Cuba. During this visit to Ciego de Avila, Fidel Castro and a group of about 20 engineers visited the remote islands of Cayo Coco and Cayo Guillermo. The president promised that these very islands would one day become Cuba’s most sought after tourist destination. 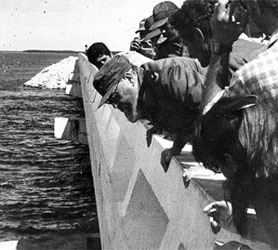 The planning began when Fidel returned to Havana and, hastily, the same group of engineers proposed several plans to build a causeway from Ciego de Avila to Cayo Coco, an initial length of about 30km. After much discussion and amendments to the plan, the construction of the pedraplen (Spanish word for causeway) from the mainland finally commenced in 1988. The revised causeway measured 27kms (16 miles) and ended up connecting Cayo Coco to the mainland of Cuba in just 3 years. The time having been reduced, due to the use of a small key called Isla de Turiguano, as the foundation for a long stretch of road which had previously been planned to traverse over the sea. In 1992 another section of seven kilometers was built to connect Cayo Coco with Cayo Guillermo and, with it began the meteoric expansion of hotels and resorts on the Jardines del Rey Islands of Cayo Coco and Cayo Guillermo. The man responsible for the road is called Evelio Capote Castillo, he was both the principal engineer and architect of the plan. He also oversaw every meter of its construction. A special thanks goes out to the family of Evelio Capote Castillo. The causeway connects to Cayo Las Brujas first at 41km (25 miles) from Caibarien. Then Cayo Encenachos at 48km (29 miles) and finally, Cayo Santa Maria at 51km (32 miles). The first hotel built in Jardines del Rey Archipelago was on Cayo Guillermo in 1992, with the opening of the Hotel Gran Caribe Club Villa Cojimar, followed by the first resort called Guitart Cayo Coco (now the Hotel Colonial), opened in 1993 on the neighboring island Cayo Coco. Since then the expansion has been incredible with (2014); 14 Hotels on Cayo Coco, 10 Hotels on Cayo Santa Maria, 4 Hotels on Cayo Guillermo, 1 Hotel each on Cayo Ensenachos and Cayo Las Brujas. Jardines del Rey now offers over 10,000 rooms in total. In 2005 the Jardines del Rey International Airport opened to accommodate direct flights from around the world. Then in 2008 the ex-military airport on Cayo Las Brujas was upgraded to take larger planes and domestic flights. Despite the existence of the airports, the causeway remains a key route for supplies to the hotels and also vacationers visiting the Cuban cities on the mainland. 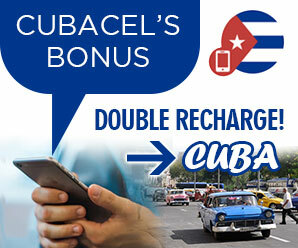 Click to Chat with us about creating a unique vacation package to tour Cuba, including a stopover on the idyllic Jardines del Rey Islands and visits to other cities in the region. Visiting Jardines del Rey is an amazing experience. No matter which island you choose the experience is sublime. 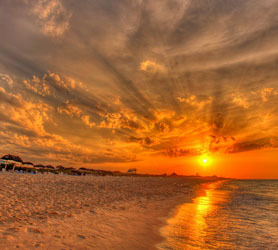 The beaches are simply outstanding and the natural beauty simply irreproachable. To think that these islands were uninhabited 3 decades ago, to what they have become today, is a marvel in itself. Millions of people from all around the world have visited Jardines del Rey, now it’s your turn! This is an easy one. 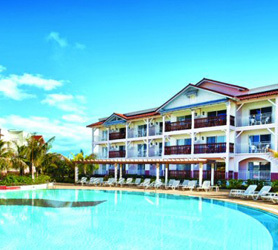 The Jardines Del Rey island of Cayo Las Brujas has just one hotel so, not much choice here! The Cayo Las Brujas Key is simply stunning in all respects and because this hotel is one of the cheapest in the whole Jardines del Rey Archipelago you better act quick! Click below to see; reviews, photos, latest information and check rates and availability for your Hotel in Cayo Las Brujas. Looking for a perfect island hideaway? Hotel Villa Las Brujas could well be it! 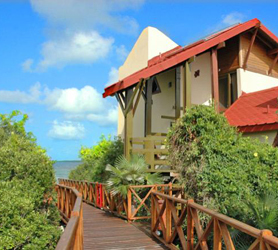 Located on the north coast of Cayo Las Brujas in the UNESCO biosphere reserve of Jardines del Rey. The accommodations are nicely spaced individual villas, connected via natural gardens and suspended bridge wooden walkways. Each Cabaña is configured into a two level duplex design offering utmost privacy for guests. With just 24 rooms, this could be considered one of the most exclusive hotels in Cuba, having the whole island of 6.7 km² to itself. The property has been built on a natural coastal cliff overlooking the turquoise waters below. 19 of the 24 rooms guarantee unhindered views of the coastline and sea. Villa Las Brujas is probably the bargain of the century. If your desire is to relax on its virgin beaches and wander around this idyllic island, the Hotel Villa Las Brujas ticks every conceivable box. Overall the Hotel Villa Las Brujas remains quiet due to its exquisite Jardines del Rey location and the fact that it is not sold in most countries, major operators from Canada and Europe preferring to sell the hotels of 4 and 5 star in Cayo Santa Maria or the ultra 5 star of Cayo Ensenachos. This is of course a blessing, because Hotel Villa Las Brujas is exquisite and you can still book it here. Once you’ve compared the rates, finalizing the booking at the Jardines del Rey Villa Las Brujas Hotel takes just seconds and an immediate confirmation is provided in real-time. But wait! Why not check our other Jardines del Rey Hotels before making your decision? Finding it difficult to choose which heavenly Jardines Del Rey island to visit? To make your decision simpler, we are listing every hotel in Jardines del Rey. 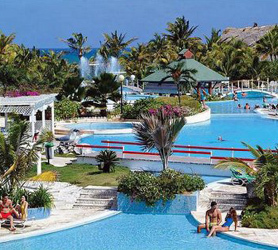 Yes, on this page you will find every hotel in Cayo Santa Maria. Click the link to each hotel to see reviews, photos, latest information and check rates and availability for your Hotel in Cayo Santa Maria. This list of Hotels in Cayo Santa Maria only includes those hotels which are on the island however; hotels in the near vicinity are also shown when you visit the link to each hotel. We’ve made it simple, you can check rates on all Jardines del Rey hotels, on this page its Cayo Santa Maria. Yes, for the first time you can compare rates across all suppliers in almost any currency. All Jardines del Rey – Cayo Santa Maria hotel Reservations are 100% guaranteed as confirmed with the hotel and a confirmed booking code is issued directly from the hotel. Below is a list of every hotel exclusively in Cayo Santa Maria. You are guaranteed the lowest rate on your Cayo Santa Maria Hotel stay along with payment in 32 currencies including USD, Euro, CAD, Yen, and much more. But hold up! Why not check hotels in other Jardines del Rey Islands before making your mind up? Choosing a Hotel on the Jardines Del Rey island of Cayo Ensenachos is easy. Why? Because there is only one! Click the “Reserve” button to see reviews, latest information and check rates and availability for your Hotel in Cayo Ensenachos. Finding it hard to choose which idyllic Jardines Del Rey island to visit? To make your decision easier, we are listing every hotel in Jardines del Rey. 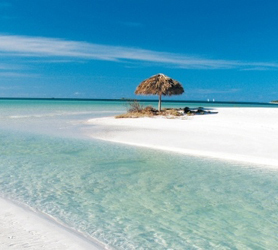 Yes, on this page you will find every hotel in Cayo Guillermo. Click the link to each hotel to see reviews, latest information and check rates and availability for your Hotel in Cayo Guillermo. You are assured the best deal on your Jardines del Rey Cayo Guillermo Hotel stay, allied to payment in 32 currencies including USD, Euro, CAD, Yen, and more. The list of Cayo Guillermo Hotels below is a complete list of every Hotel in Cayo Guillermo. Immediate confirmation of all Hotels is assured if available during your chosen dates.. Remember, the decision is hard so check out our other Jardines del Rey Islands before deciding! 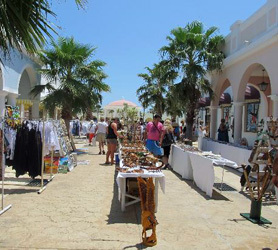 Visitors to the Jardines Del Rey islands of Cayo Las Brujas, Cayo Ensenachos and Cayo Santa Maria often spend a day in Remedios, especially during the Christmas period. The city is famous for many things but primarily it’s the festivities around the December holidays. The abundance of Casa Particulars in Remedios also make Jardines del Rey a popular day out for tourists staying on the mainland. Remedios is just 52km from the aforementioned Islands in Jardines del Rey, most of the distance being covered on the perfectly paved causeway, Remedios is an ideal place to visit to get a feel for the “Real Cuba” and Cubans. By visiting either Caibarien or Remedios, you’ll finally feel you’ve got the gist a morsel of Cuban Culture, even if it’s only for a day out. Remedios is also known as San Juan de los Remedios and is both a city and municipality, located just 3 miles (4.8 km) from the coast. 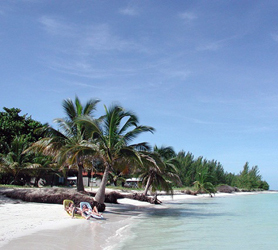 Like Cayo Las Brujas, Remedios is part of the province of Villa Clara. 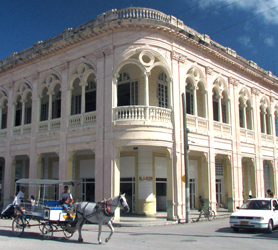 Isabella II of Spain declared Remedios a City when Cuba was still a Spanish colony. Remedios is a historically rich city with lots of heritage, the eighth oldest city in the Republic of Cuba and despite its small size of just 47,000 inhabitants, its a very attractive city. Cuban historians have estimated the foundation date of Remedios as being sometime between 1513 and 1524. It is assumed to have been founded by a Spanish nobleman named Vasco Porcallo de Figueroa on 13th of April 1514, however exact documentation supporting this has been obscured by time. Some documents that do exist, place this settlement as having been only preceded by Baracoa (1511) and Bayamo in 1512, so yes, this is a very old city indeed, for the Caribbean and the Americas as a whole. Many unofficial sources claim Remedios was founded before Trinidad (1514). Remedios has actually had a few different names over the past 500 or so years. The first was Santa Cruz de la Sabana then Santa Cruz de Vasco Porcallo and the penultimate, Santa Cruz de la Sabana del Cayo and, finally in 1578, San Juan de los Remedios de la Sabana del Cayo. 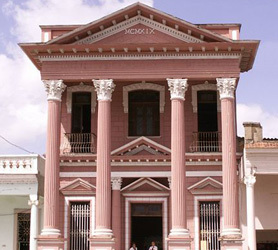 Remedios was declared National Historic Monument in 1980 by the Cuban Government, mainly because of its long and historic history. The city center is particularly attractive with its 17th century Spanish colonial architecture and beautifully ornate buildings. The main things to see in Remedios are the; Plaza Isabel II is the “Iglesia Mayor” of San Juan Bautista, which displays 13 marvelously decorated gold altars. This Parish Church is composed of the main church, Parroquial Mayor de San Juan Bautista, and a chapel known as Ermita del Buenviaje. The two religious structures are exemplary examples of Spanish colonial architecture in the Caribbean and must be seen to be appreciated. The bell towers of both the church and the chapel define the landscape of this historic Cuban city. Due to its proximity to the coast, Remedios was under regular siege by pirates and corsairs, François l’Olonnais being the most renowned of the bandits. During these decades, the gold altars were hidden under white paint. Another impressive church can be found on the north side of the square called the Iglesia del Buen Viaje or Church of the Good Journey. 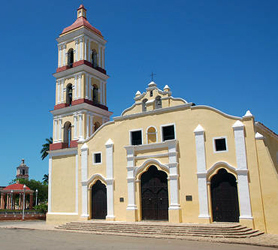 Remedios hold the odd accolade as being the only city in Cuba with two churches on its main square. The elegant Central Plaza or “Plaza Mayor” was renovated in the 1970s and is encircled by amazing colonial buildings, picturesque monuments, large trees, Cuban palms and a gazebo similar to those found in many cities in Cuba. Remedios is nationally famous its Christmas festival and carnival “Las Parrandas de Remedios”, which officially takes place between the 16th to the 26th of December but celebrations begin before and go-on after these dates. Throughout the “parrandas”, there’s unparalleled rivalry between the neighborhoods of San Salvador, represented by the colors red and blue, and a rooster as a mascot, and El Carmen, represented by the color brown and a globe. The memory of the celebrations can be further investigated at the Museum of Parrandas, located in a 19th-century building since 1980. Here you’ll find photos, documents and hand-made objects; all linked to the carnivals festivities. Visiting Remedios from the Jardines del Rey Islands mentioned above is not a big deal, pretty easy actually and well worth your time. Many people think that the Jardines Del Rey islands are simply masses of All-Inclusive Hotels but, two impressive Shopping Arcades and Entertainment Centers have been built to offer visitors somewhere to get the latest fashion accessories, Authentic Cuban Souvenirs and much more. Furthermore, these centers cater to Jardines del Rey daytrip visitors who are visiting the islands for a day out, driving in from the Mainland cities of Caibarien, Remedios and Santa Clara. This particular Mall offers 8 restaurants at its main food court. The Pueblo La Estrella Mall on Cayo Santa Maria in the Jardines del Rey Archipelago is an all-in-one entertainment complex designed to give visitors something different and a a complete shopping experience similar to malls back home. There are 2 excellent bars serving cocktails and top shelf booze, plus a Jazz Cafe. The rum house offers over 50 varieties of Cuban Rum. This wellness center and Spa is amazing and allows you to use all the amenities if you take spa time. You could just be visiting Jardines del Rey for the day but can still use this spa. The pool is surrounded by comfortable nice padded lounge chairs. The spa features sauna, hot tub, cool tub, steam room, showers and massage center. The massage therapists are professional and do a fantastic job; as do the staff who give manicures and pedicures. Prices are reasonable at 15 to 60 CUC making the spa an ideal place to visit if you’re simply visiting Jardines del Rey for the day.